Today, no country can think of a life independent of other nations. Every country has to develop relations with other countries so as to meets its requirements in political, economic, social, industrial and technological fields. In this context, foreign policy is an essential element of interstate relations. The success of a states’ foreign policy is measured via the state’s ability to assert itself and promote its interests, in line with the structural consistency within the international system. In other words, foreign policy is an essential modern guide to global politics, economics and ideas for people who want to know what’s really happening in an increasingly complicated world. Pakistan is a South Asian state when looked from India, a Middle Eastern, when viewed from the Persian Gulf and a Central Asian, when viewed from Ghazni, Kandhar or Kabul in Afghanistan. This shows how Pakistan’s strategic location makes it an important country in the region. Pakistan’s interactions with the major powers and its neighboring countries are shaped by the resultant geostrategic environment, and play an important part in determining its position in the international world. The external strategic environment of Pakistan is changing rapidly, while the domestic socio-economic conditions of the country are simultaneously creating immense challenges for policy makers. While for the most part major developments in Pakistan’s foreign policy have been caused by external factors, internal factors have also driven the country’s external relations creating new entanglements and pushing the policy in multiple directions. This has caused a stir of controversies, particularly in terms of understanding the foreign policy objectives of Pakistan – as in what drives what. Pakistan’s security environment derives its origins from the circumstances in which Pakistan was created. For a long time now, Pakistan has been facing the threat of terrorism, which has developed into a deep-rooted issue both at home and abroad. The extent to which Pakistan is mired in the complexities of terrorism has caused turbulent relations with its neighbors and major powers, creating immense security challenges, both internal and external. This menace is the source of continuing tensions and conflict, and shaped the unstable and tense security environment in the region. There is dire need for Pakistan to revive its foreign relations with neighboring countries and the world at large to improve its relations in terms of diplomacy, defence engagements, trade relations and cultural exchange programs. Keeping in view the current requisites of Pakistan’s Foreign Relations, the Centre for Pakistan and Gulf Studies (CPGS) has taken the initiative to conduct a series of Round Table Sessions under a “Foreign Policy Roundtable Series”, aimed at facilitating a more comprehensive and realistic understanding of the challenges and the country’s foreign policy imperatives. The project would felicitate to enhance focus and secure the country’s national interest. It would further help in providing a policy framework which could be beneficial in future policy making. 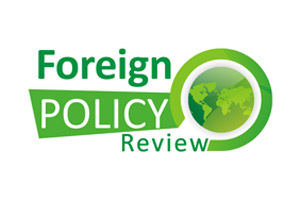 The purpose of the “Foreign Policy Series” is to understand the challenges faced by policy makers and lawmakers on how to meet the global challenges and opportunities. It further assists to review the best possible options while analyzing the current strategic and geo-political environment. Moreover, it aims to provide practical and implementable recommendations to improve the existing relations with the major powers and the regional countries.